Prime Minister Recep Tayyip Erdoğan’s chief economic advisor, Yiğit Bulut, is both the Flavor Flav to his Chuck D, and the Aristotle to his Alexander the Great; both the “hype man” on stage and “theorist” behind the throne. 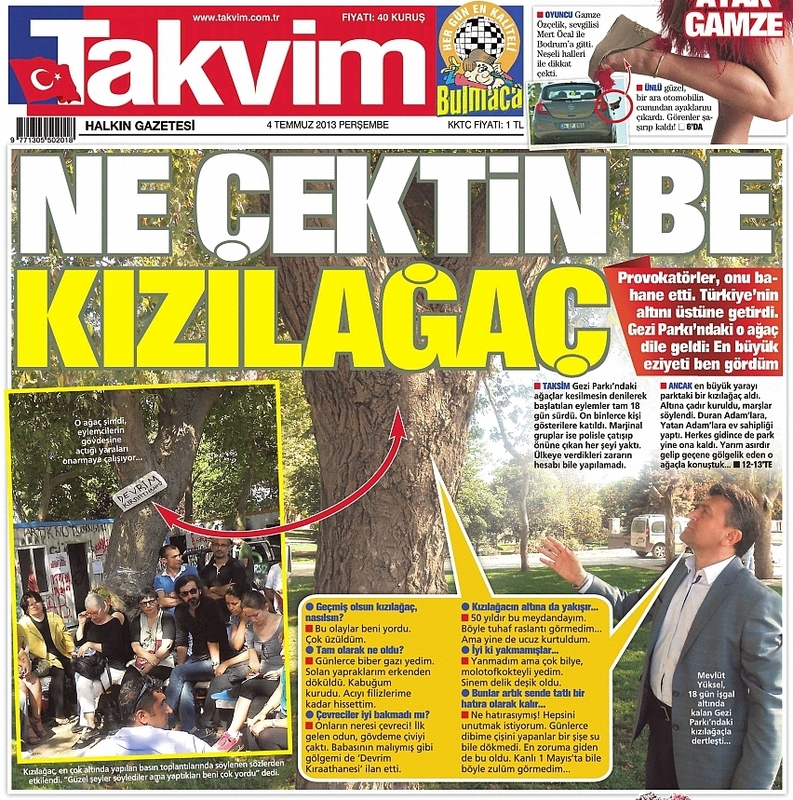 His appointment to the PM’s inner circle caused mirth last July, amid his suggestion that foreign powers were seeking to kill Erdoğan using telekinesis, but that was just one of many odd theories he has come up with since last summer’s Gezi Park protests. He recently made headlines by declaring that the EU, (Turkey’s number one trading partner), was “finished” and would be superseded by the “new world order” of the “Turkey-Eurasia/Russia-Middle East equation”; while last year he told a TV programme that he would “die for Erdoğan if necessary.” Bulut’s rise is both a symptom and a cause of Erdoğan’s gradual departure from reality, and the Justice and Development Party’s (AKP) steady descent into paranoia. People often speculate about whether Erdoğan “really believes” the conspiracy theories that he comes out with, or whether they are just a cynical way of playing to his electoral base in tough times. In fact, both can be true, and insisting only on the latter ignores the deep traces of such currents through the history of Turkey’s Islamist movements, (not least in Necmettin Erbakan’s Refah Party, where Erdoğan cut his political teeth). When times were easier during the AKP’s first couple of terms, such rhetoric generally remained latent; but it was always ready to surface again when things took a turn for the worse. This was clearly the case after last year’s Gezi protests and the Dec. 17 corruption probe. 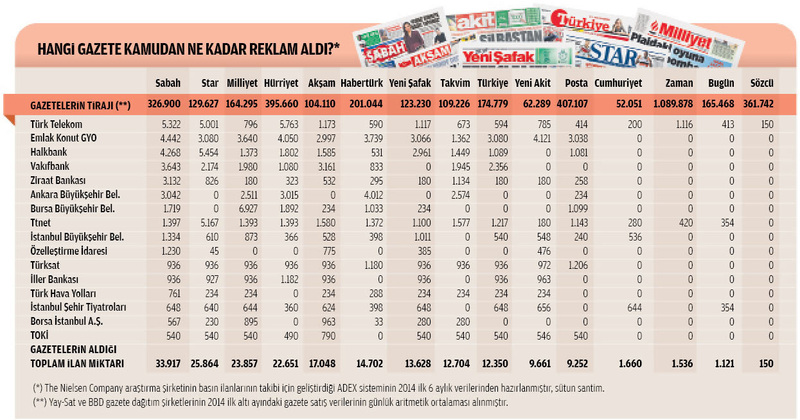 Erdoğan did indeed play to his base out of electoral calculation, but when the stakes were so high and the alternative was political disaster (and possibly jail), those conspiracies must also have been a lot more convincing to him. 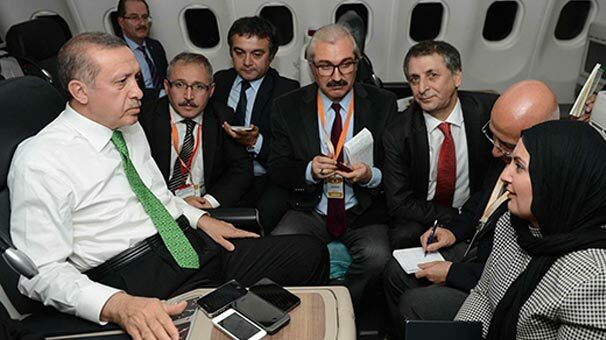 It’s probably significant that Bulut was named advisor to Erdoğan shortly after the Gezi protests erupted. It was in those difficult circumstances that his warnings of a Turkey besieged by foreign powers and his political vision of fantasy neo-Ottomanism must have made the most sense to the prime minister. Bulut was actually once a staunch, nationalist-flavoured critic of the AKP, critical of privatisations, its inability to deal with the Kurdistan Workers’ Party (PKK), and Turkey’s growing debt stock. The Damascus moment came some time before his 2010 divorce from former wife Şule Zeybek, the niece of secularist media tycoon Aydın Doğan, and ever since he has defended Erdoğan with the zeal of a true convert. In June 2012 he became the editor of pro-government 24TV, after which he was rewarded for his now-unswerving loyalty with an appointment to the prime minister’s brain trust. He now juggles his new role with his regular column in daily Star and political talk show appearances on pro-government TV. Indeed, Bulut was at the centre of one of the more amusing episodes from the wiretap leaks released before Turkey’s March 30 local elections: A conversation between the editor of private broadcaster NTV, Nermin Yurteri, and PM Erdoğan’s chief political advisor, Yalçın Akdoğan. In it, Akdoğan demands that Bulut be included as a guest on a news discussion programme, which is desperately resisted by Yurteri, who says her station is willing to accept any other pro-government figure but not the widely ridiculed Bulut. Advert for Yiğit Bulut’s pre-election “National Will” lecture tour, arriving in Istanbul’s Esenler district. The crude populism of Bulut’s thrice weekly Star column is reminiscent of Erdoğan’s bombastic public speeches, but the wild adolescent theorising about the “NEW WORLD ORDER” may be less familiar. It’s chilling to think that it’s not the ranting of a frustrated teenage shop assistant in Yozgat, but that of the Turkish prime minister’s chief economic confidant, who has a personal office in Istanbul’s Dolmabahçe Palace. What is the biggest danger for the ‘new great Turkey’? In the days before 2003, when Turkey was still covered up, the question that was asked was this: Which is the biggest threat for Turkey, “fundamentalism” or “separatist terrorism”? My dear friends, today the question is different: What is the biggest threat for a Turkey that is making peace with itself and expanding? Is it possible to ignore or even destroy the National Will? I repeat: Is it possible to ignore or even destroy the National Will? This country had many days, months and years of viewing and being forced to view its own values as a threat. The way we looked at issues was mistaken, and so were the solutions we put forward! Until 2003 we lived in this “blind well,” and with our “mistaken entrances” we always produced “mistaken results”! Dear friends, there were once built-in internal and external focuses were imposed on us for years, and the “built-in media” vehicle didn’t even allow us to question this! We even helplessly believed that our own Muslim citizens could be our biggest threat, that our Kurdish-origin citizens could want to divide us… It wasn’t right, it was never right, but we could never remove “this sack from our heads” and realise the true “threat definition”! Today we have ripped off the sacks, and the path we will now embrace is apparent! Result 1: As Turkey grows, it will see; enemies are not just internal and external. As Turkey GROWS, it will see that its enemies are not only inside the nation, but they also hide and focus in the twists in the path of Turkey’s expansion. Result 2: Our minds must be very sharp and our thesis must be very clear: In the last 10 years, Turkey has ripped off the “sacks,” saved itself from the “diseased structure” of previous civil-military relations, and is progressing on the path of “becoming a universal state” in the new world order. Result 3: Turkey is defining a “new national defense concept suitable for a universal state” and is also detailing the technical aspects! Turkey has now revealed itself and there are those who are uncomfortable about this; therefore, a suitable new “NATIONAL STRATEGY” must be very carefully and quickly developed. Result 4: The NEW TURKEY’s use of military force in diplomacy is inevitable! Instead of a military focusing its perceptions on vicious internal threats, a country on the path to becoming a global player must have a military that is redefined to deal with global threats. Result 5: A NEW CONCEPT OF NATIONAL DEFENSE will benefit the Armed Forces in great and strong diplomacy, and can only be revealed with a new political vision. * The opening line of the Turkish national anthem.